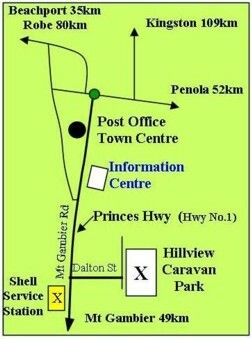 Hillview Caravan Park is situated approximately 2½ km SE from the Millicent town centre, just off the Mt Gambier Road (Princes Highway). 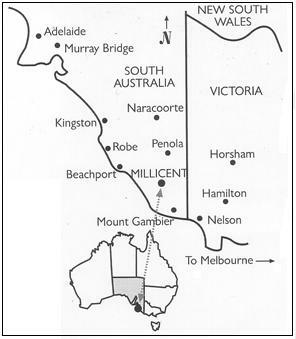 Millicent is midway between Adelaide and Melbourne via the scenic coast Princess Highway (Hwy No. 1) and is located in the heart of the Limestone Coast region of South Australia. An ideal central base to visit the surrounding towns of Mt Gambier, Penola and Beachport being only 30 minutes away.